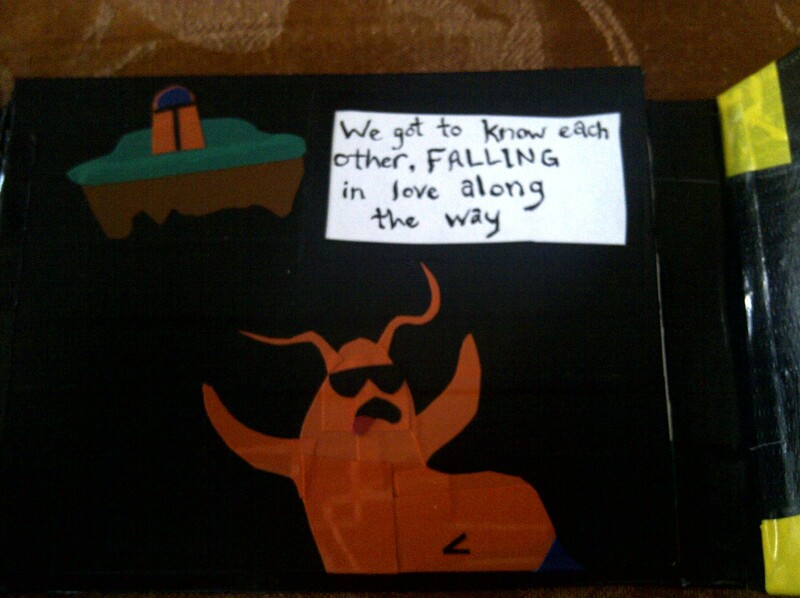 So here’s some screenshots of a book I made for my girlfriend. I’ll explain how I made it and what each page stands for one by one. 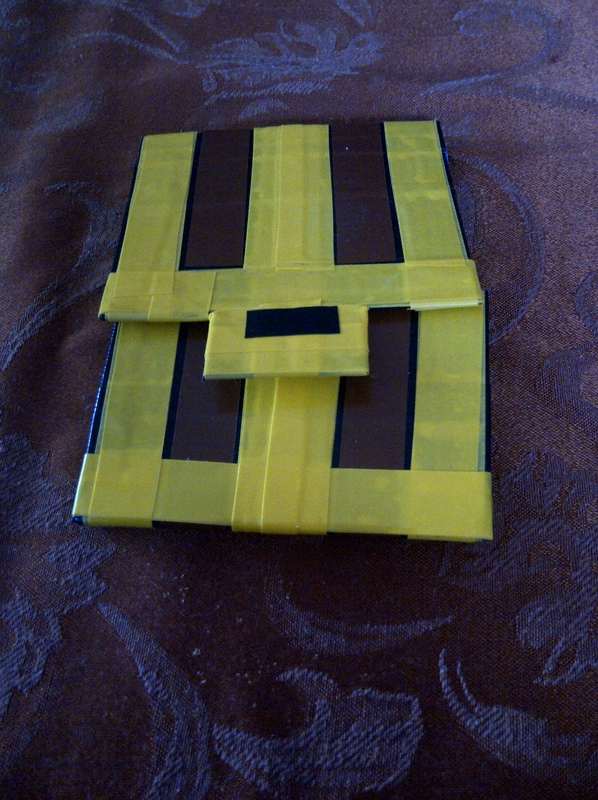 I made it out of cardboard and used electrical tape for the cover design to make it look sort of like a chest from Legend of Zelda. I was able to find brown electrical tape for the wood parts and yellow for the gold. 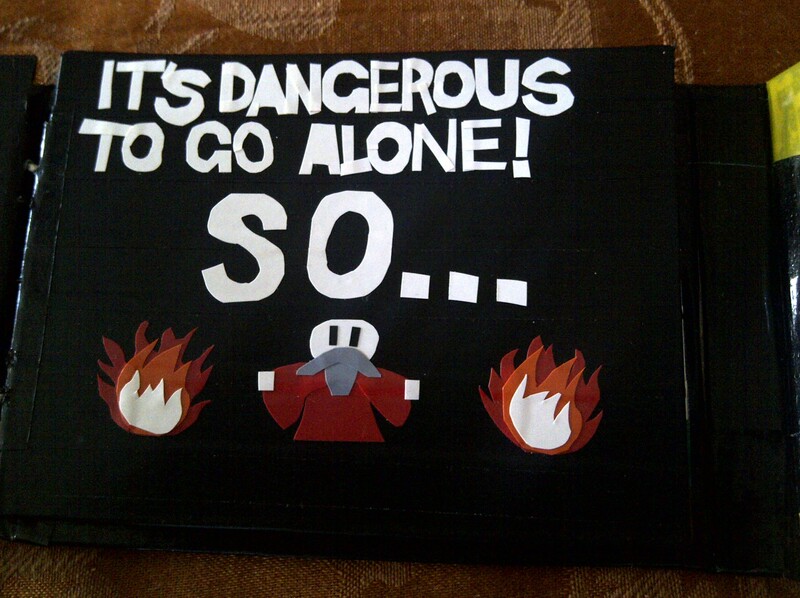 All of the pages are made of cardboard with a black duct tape backing and the book is bound with string. The first page in the book is painted in acrylics. For the uninitiated, it is a parody on Star Wars since I live in Halifax, Nova Scotia now. There isn’t really a tie to this one; Star Wars is just awesome on its own. The next page is also painted. 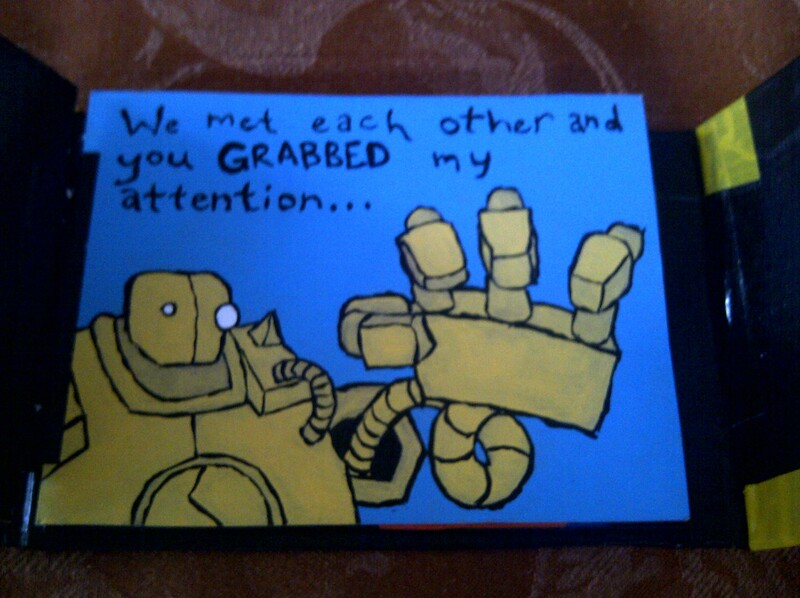 It’s a picture of the League of Legends character Blitzcrank (he has a rocket grab attack…get it?). 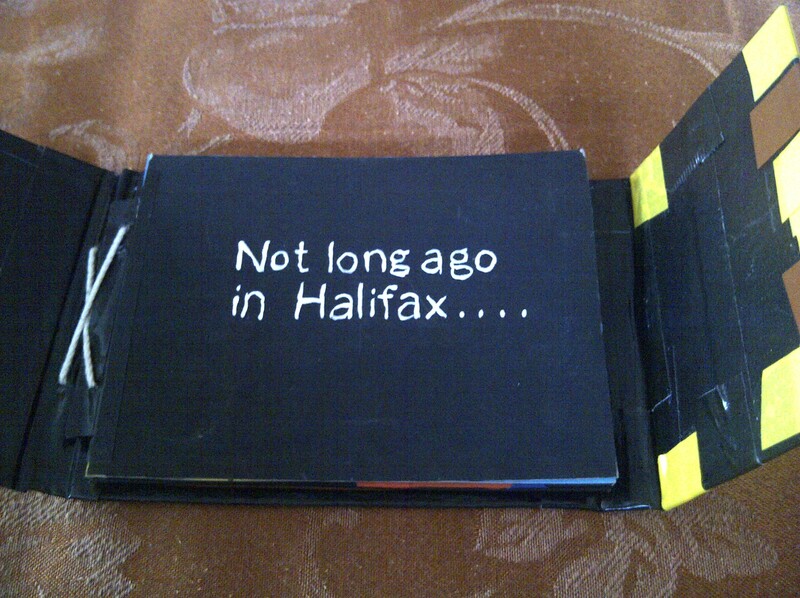 The next page is made using electrical tape. It’s a picture of Earl from the game Toejam and Earl. When we played this game she used to fall off the edges. I have to note that orange electrical tape is hard to find! This page is the opening scene from the NES Legend of Zelda when you go into that first cave to get the sword. I made it using electrical tape. This is the last page in the book. Made using electrical tape. 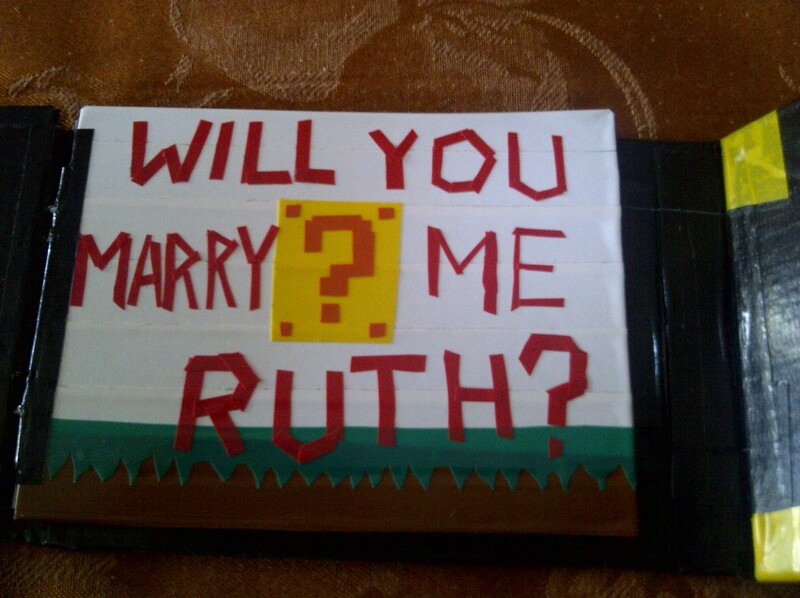 So the moral of the story is that I’m engaged now.